That’s it. I’m free. No more walking eggs, no more staring at my phone everywhere I go, no longer will my phone battery need charging five times a day. 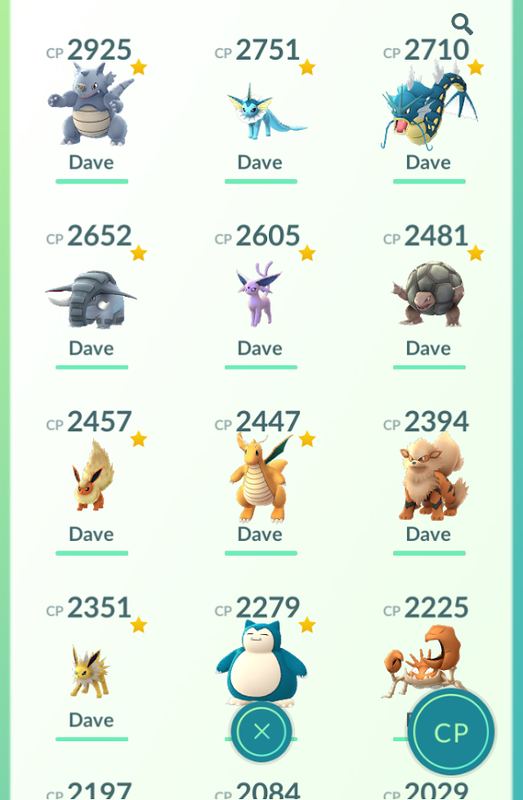 Pokémon Go is over. Well, not yet, but soon. Niantic have announced that in February, Apple devices that can’t run iOS 11 will no longer be able to run Pokémon Go. Since I can’t run iOS 11, I can’t keep playing, and I’m damned if I’m buying a new phone just for one “game”. It’s a shame, but in a way I’m glad. It’s given me a reason to stop. I’d say it’s been fun but actually, has it? Collecting all the monsters hasn’t been feasible, the gyms have been broken so they serve no purpose other than to provide me with coins, trading Pokémon never happened, and raids are impossible (and mostly pointless). I have to wonder why I was playing, and honestly, I can’t think of a single reason. So I’ve stopped now. There’s nothing to gain from playing for another 6 or 7 weeks and then having it switched off, so why wait? It’s gone. Goodbye Dave, Dave, Dave and Dave. And Dave. Poor Dave.